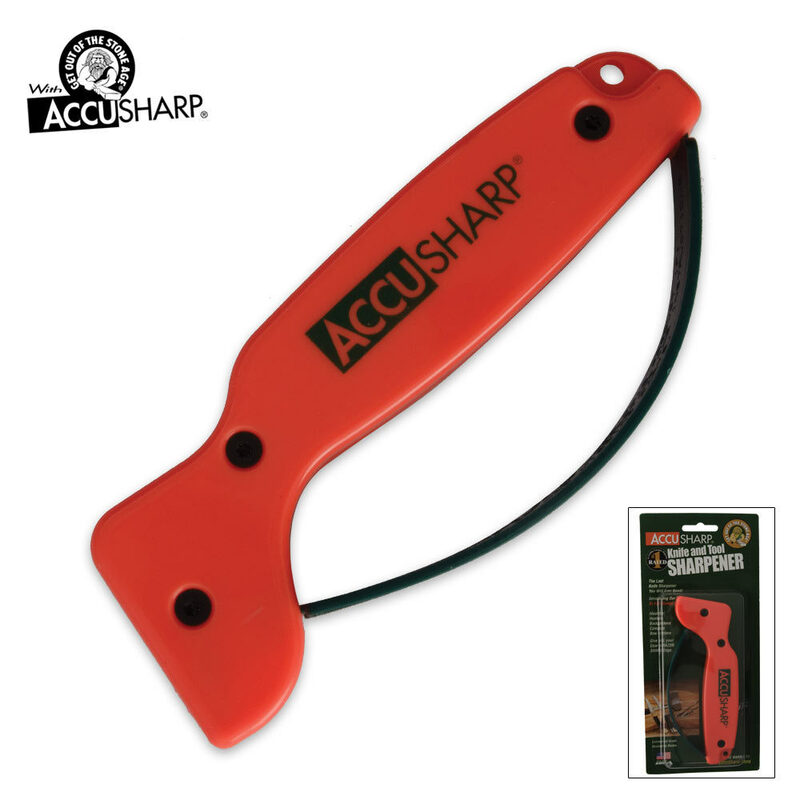 Accusharp Blaze Orange | BUDK.com - Knives & Swords At The Lowest Prices! Finally, a Knife Sharpener anyone can use! No more messy oils or stones. In about 10 seconds, sharpen your knives, even serrated knives, cleavers, axes, machetes, and many other cutting tools. Sportsmen, cooks, craftsman, gardeners, and many more, all need the easy-to-use, affordable AccuSharp line of knife and tool sharpeners.